Learn more about our organization and team members. 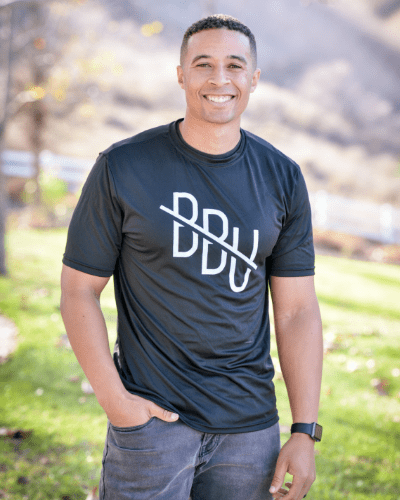 Get to know more about Ryan Tillman, the founder of BBU. LEARN MORE ABOUT THE CONFERENCERESERVE YOUR SEAT TODAY! 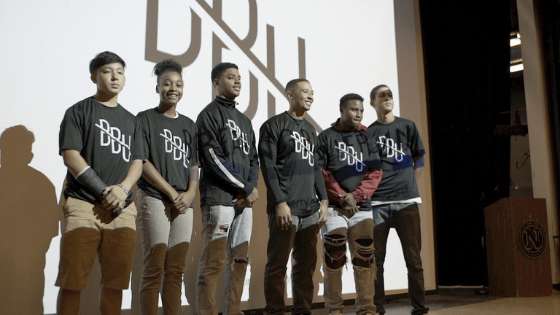 Recognizing that the future lies in the hands of our youth, Breaking Barriers United is an initiative which addresses current issues between law enforcement and the communities they serve, with a transparent approach. 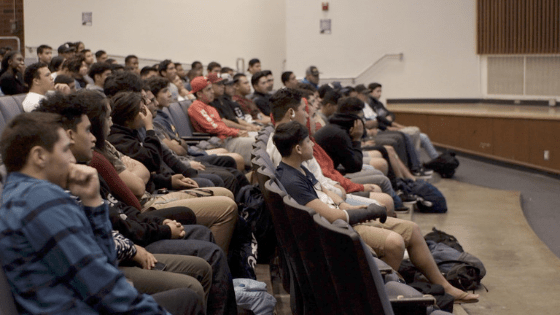 Through relationship building and mentoring programs, Breaking Barriers United connects with tomorrow's leaders in neighborhoods sometimes forgotten. If you feel you have a presentation which would be powerful and meaningful for the 2019 #ITSNEEDED Conference, then please apply to become a presenter. The deadline for applications is June 1, 2019. You visited my school a while back and it helped me more than you think. Sir, you are changing the world and what you chose to put your time and money into has changed and saved the lives of many students. I have had a horrific past 2 years and knowing that a stranger has gone through the same pain is making a difference. You are using your pain as a gift and using it to change the community of cop-hating youth. Thank you for everything and if you ever sell shirts, I would love to rep your hard work and dedication. You came to my son's school last year and he was inspired and really enjoyed the knowledge he got from you. He told me about it as soon as I picked him up from school, so please, keep making a difference. My little brother is currently a senior in high school with no motivation to do anything after school. 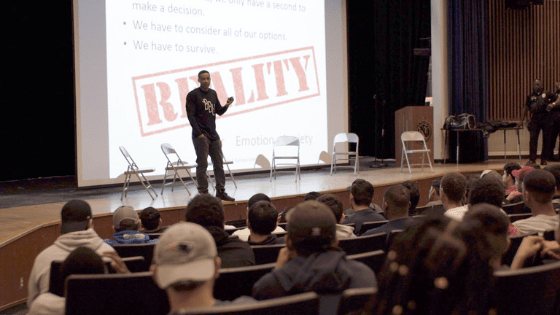 It wasn't until he was introduced to Breaking Barriers United where he became motivated to continue his education with a possibility of pursuing a career in law enforcement. Thank you for all the hard work you do and for having such a positive impact in those in our community, especially the younger generation. God bless! Thanks for coming to Chavez Middle School today. It was so fun to watch you perform and tell us about your life. Thank you so much. Now I have more respect for cops and why they do there jobs. Discover our workshops for your organization, students, and community. 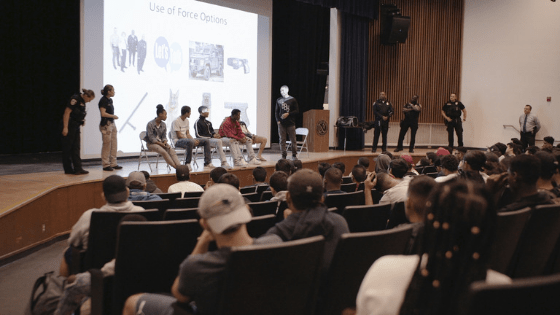 The Initiative Workshop is designed in a unique way that allows students and community members to openly voice their HONEST opinion about the way they feel about law enforcement. With bullying playing a major role within our schools across America, Ryan has recognized that students must learn to develop confidence in themselves. This presentation is designed to motivate, inspire and encourage students to get the most out of the individual talents that they possess. In this workshop, Ryan focuses on bringing students of different backgrounds together to find common ground and solutions to work together. READY TO DO THIS ? Score a win for your community. Empower your youth and reinvigorate your staff.  Get Ryan Tillman, the most relatable and accepted police officer among youth, in your school today. I will not fail you as you will not fail me. My mission is to be the one person who may make a difference in your life and cause you to be better in all that life has to offer. Come listen to me at a presentation. Let's talk with each other, not to each other. You're a rock star and going to make awesome things happen in this world.